One of the most critical assets in a digital artist personal library is their texture collection. You will find lots of sources with both free and paid collections, but eventually, you can get some free textures from other artists personal collections. That is the case with this free PBR floor tile texture from digital artist William Santos. 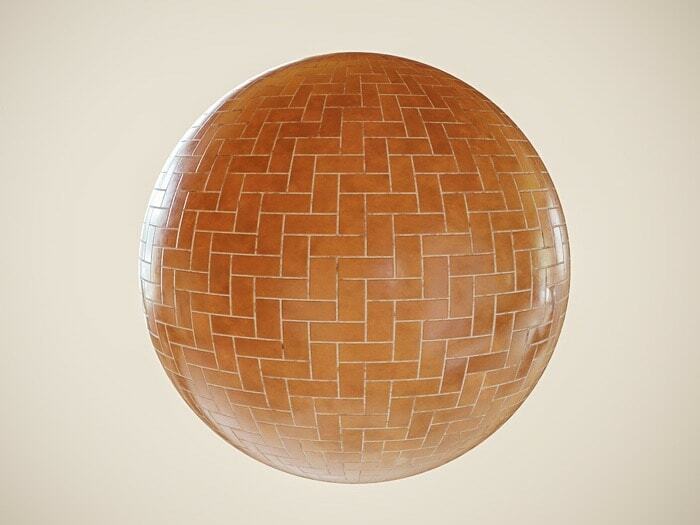 He shared a PBR texture in his ArtStation page that might help you with architectural projects. The file has a high resolution (4096 x 4096) and comes with maps for Color, Roughness, and Normals. To download the file, you have to visit the artist ArtStation page to get the link, which is at the moment a Dropbox shared folder. That means you will have a high download speed, but the author may remove the link at any moment. If you want the texture, I recommend you to get it as fast as possible. What about licenses? Unfortunately, you won't find any information regarding the licensing of the texture. For the cases where you have to use such material in commercial projects, it is always a great idea to ask the author. To get even more textures for architectural projects in Blender, you can take a look at our list with the best sources for CC0 textures. Besides getting more texture options, you will also find them with a CC0 license, meaning you can use the files for commercial projects with no restrictions.